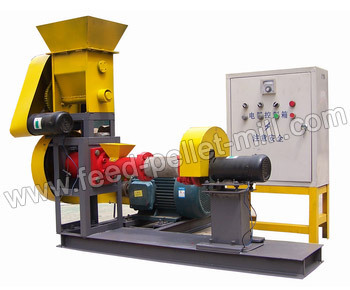 feed and other animal feed pellets. for making feed pellets for dog.cat, bird, rabbit.fox.etc. smooth surface, floating more than 12hours. 2.Suitable for small size feed stuff factory or home use. 3.Feed Pellets are more smooth and easy to digest. 4.Low lubrication of screw shaft and pressing chamber. Business Description: Zhengzhou Amisy Machinery has since been devoted to supplying top quality feed pelleting equipment up to Certified European (CE) specifications.We are expert in the design and manufacturing feed pelleting solutions for any scale feed pellets industry. We also design and manufacture ancillary equipment used in the pelleting process. Owning a professional team with specialized theoretical and practical background, we can offer full scale service to our customers by developing projects from blueprint , customized solution, machinery production to installation and commission of complete feed pellet plants .